In April 2017 Jonathan came to Chamonix. 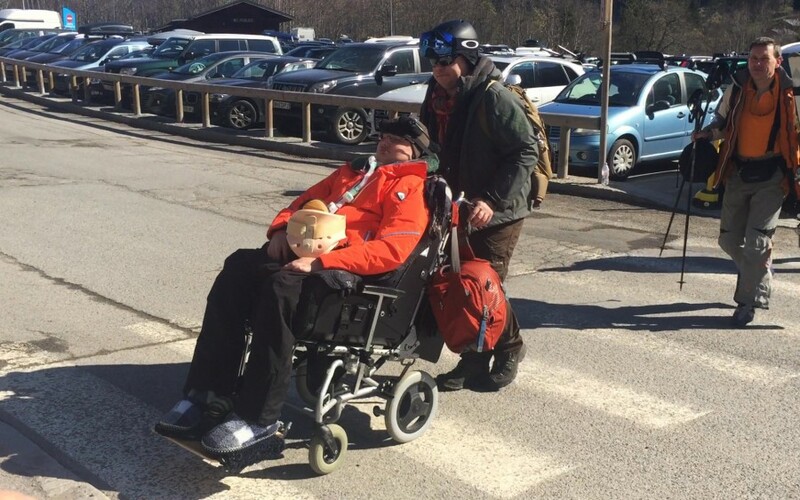 It was his first time in the mountains 10 years after contracting Meningitis. A disease which left him needing full time care and a ventilation system to help him breathe. 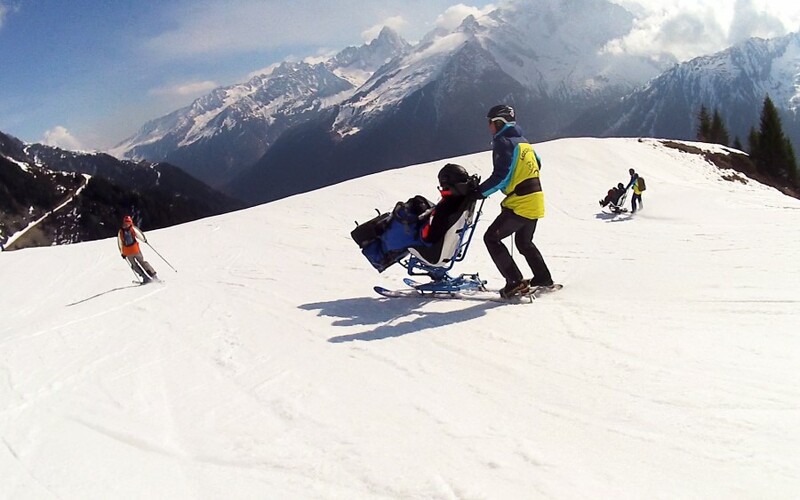 Bringing Jonathan to the mountains presented many logistical difficulties that had to be overcome. Finding suitable accommodation for Jonathan and his team of support workers was one of the first major hurdles. The Heliopic hotel in central Chamonix was chosen as it is a modern hotel with good facilities and accessibility. 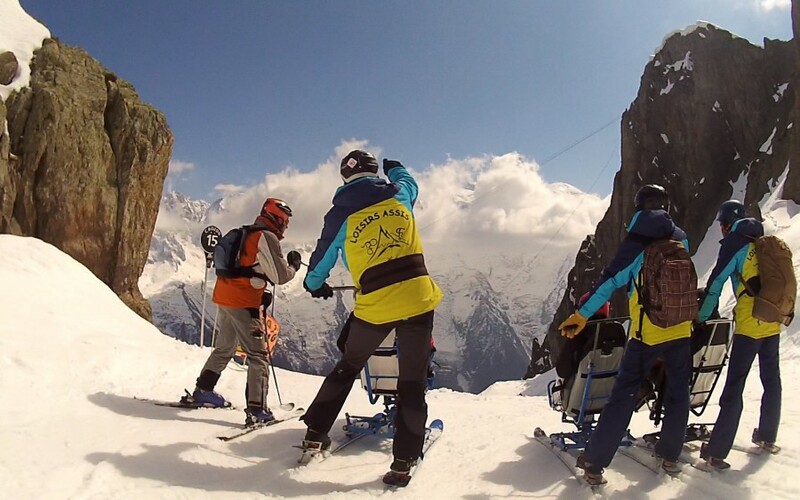 The most important and key factor, however, was Loisirs Assis Evasion, who are based close to Chamonix. 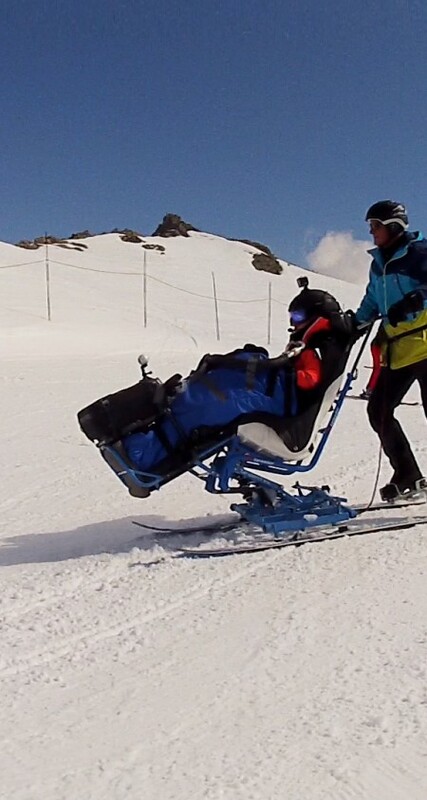 Their team are highly experienced in adaptive skiing so Jonathan would be in excellent hands during his trip. Therefore Chamonix was chosen as it has good transit links, is a short distance from a hospital and included the two vital elements of activity provider and somewhere to stay. Preparation for the days skiing was meticulous. 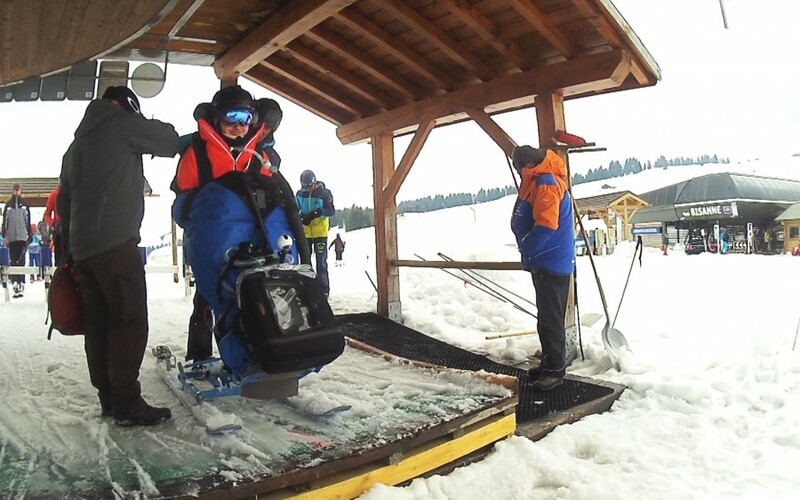 Jonathan's team and Loisirs Assis Evasion had to make sure that the ventilation system was working correctly and securely attached to the sit ski. Change in altitude affects the way the ventilation system works so a device was used to monitor the altitude so that the team could adjust the system accordingly. Each day of the 3 day trip was in a different resort. The first day was in Les Contamines, then Les Saisies and the last day in Chamonix. Each location was chosen for its suitability and the conditions on the day. 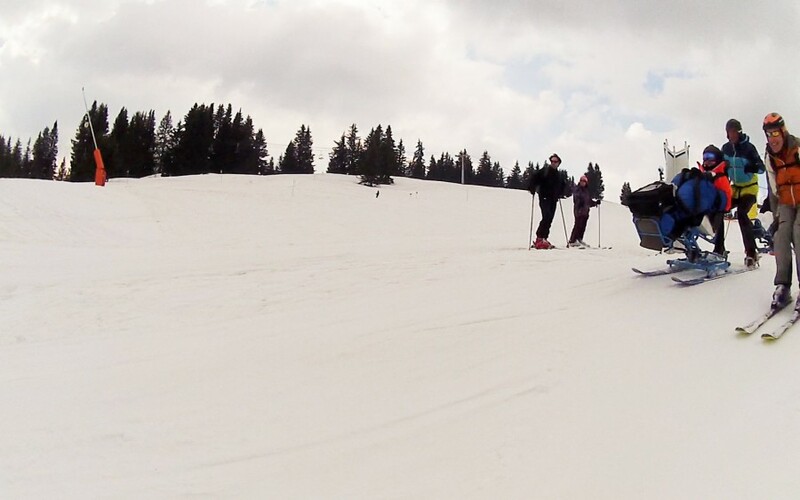 Les Contamines and Les Saisies have lots of gentle and wide pistes which are ideally suited for piloted sit skiing. The plan for the final day was to down the black run from the top of Brevent in Chamonix. This would only be possible if the weather conditions were good enough. An emotional first race together since life changed for Jonathan – an activity they had often done together when Jonathan was growing up. Fortunately the weather was good on the last day and the team were able to take Jonathan to the top of Brevent. 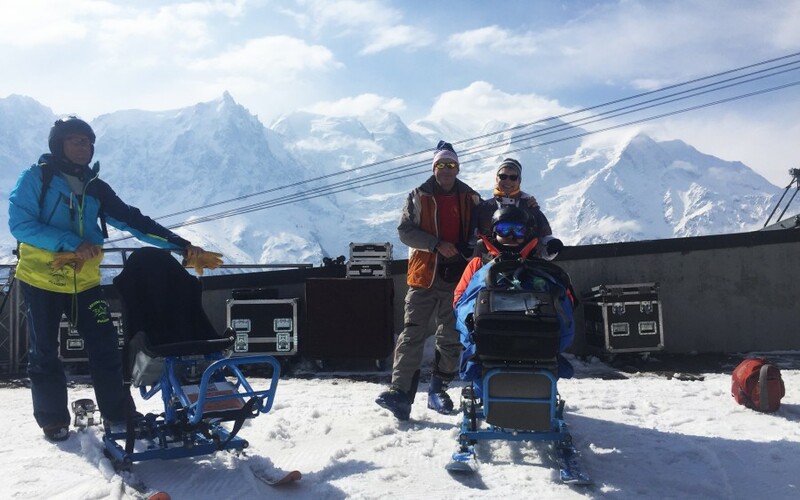 The last run of the trip was down the black run where Jonathan got to take in the breathtaking views over the Mont Blanc massif. 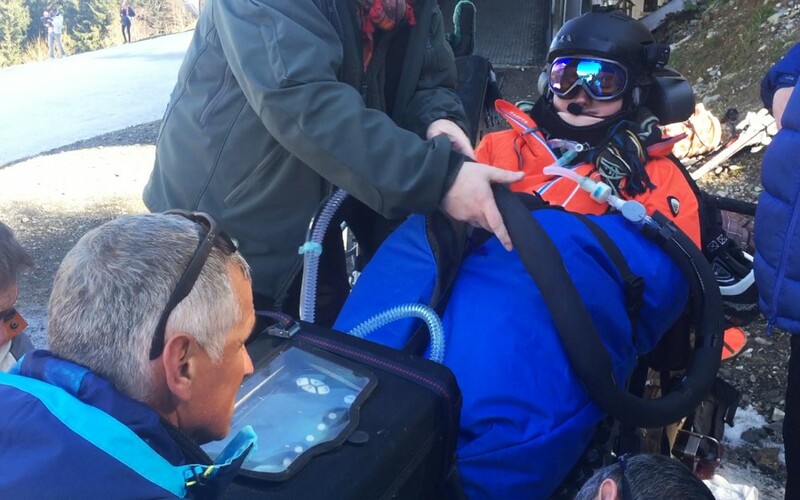 It was great that Jonathan got to experience this on his last day, making it a truly memorable family ski holiday – something the Brough family never thought would ever happen again.